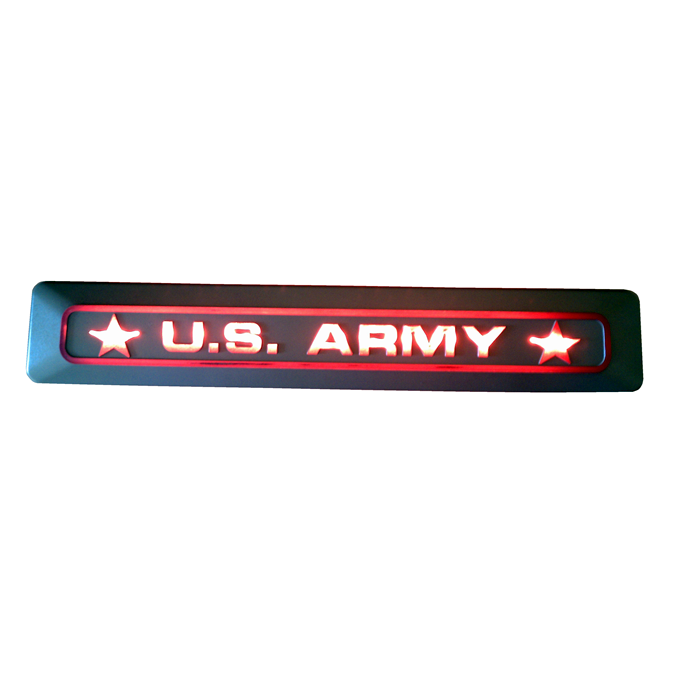 US Army illuminated emblem suitable for all outdoor uses: Army illuminated motorcycle tour pac emblem proudly displaying the military branch on your motorcycle, car or truck. 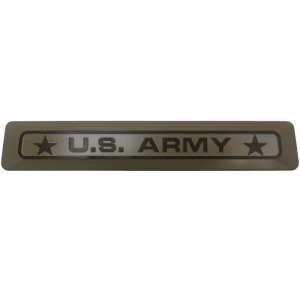 Army car, truck or motorcycle plaque. Army motorcycle emblem lighted tour Pac. Please pick your emblem background color, all letters are transparent and illuminated with red led lights. 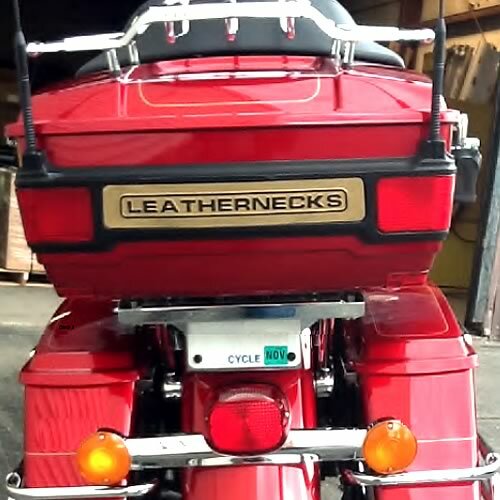 Our Army motorcycle emblems are great for being tied into the running or break lights as well! Give your ride are spectacular and unique look today! Blow all your friends away with this sharp back lit emblem. Let everyone see your pride in your service, or get something special for an important service member or veteran in your life. We all know how important the service of out fine men and woman is to this great country and we would like to provide you with a way to show your support with a high quality and beautiful product! 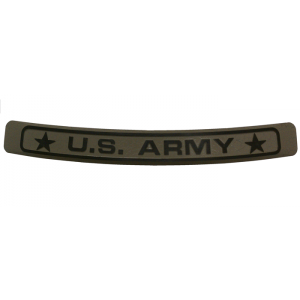 All army emblems are made with a high quality plastic, so it’s made to stand up to the rigors of the road. Lit using light emitting diodes, so you have ease of mind knowing that no bulbs are going to burn out! 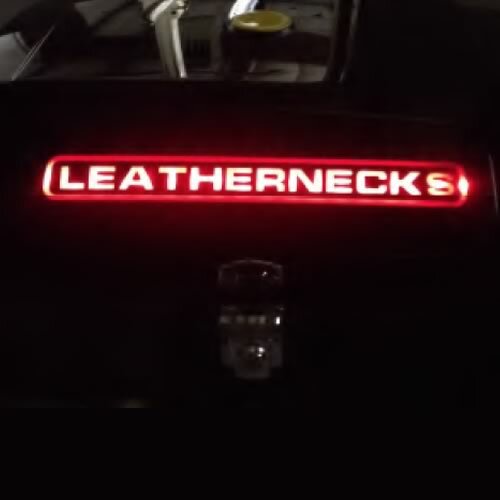 we have a long list of military products available head on over to our other products and see something you may love to include in your purchase of an back lit army motorcycle emblem. Other army motorcycle emblems include. 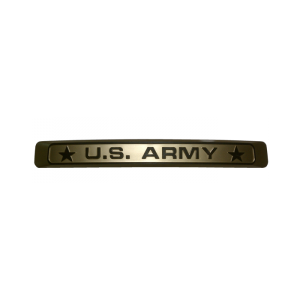 Be sure to head on over to https://jmamfg.com/product-category/military-emblems to check out all of our high quality military emblems. We have emblems for the Marines, Army, Navy, and the Air Force, we even have some emblems for the leathernecks! Remember that here at JMA Manufacturing we do custom parts as well. So call up our office today and place an order! Or just call and tell us what you would like to see us make in the future!